Take a glass jar that has a lid and remove the label. 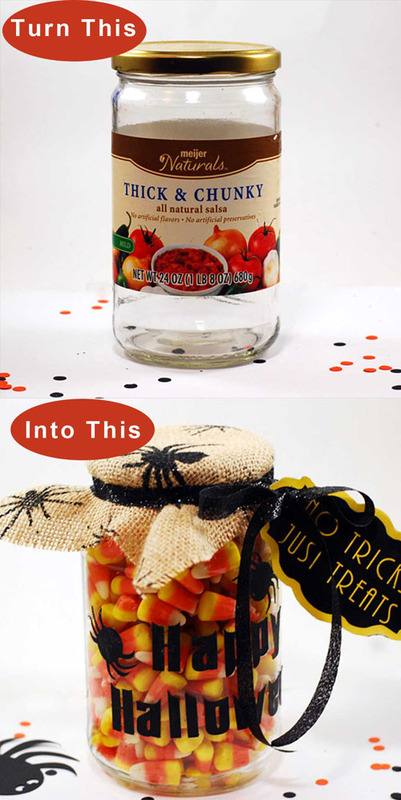 Fill the jar with candy and screw on the lid. Cut glitter ribbon and tie around the lid to hide the rubber band. 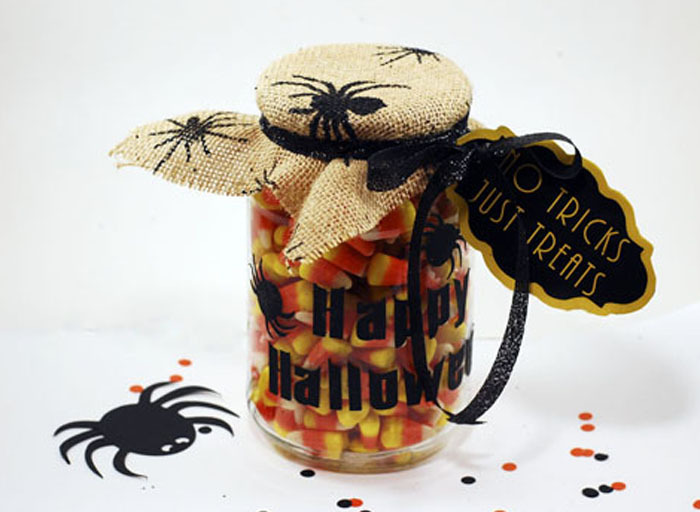 Download and print the label form the Halloween Glass Jar download files. Tie the label onto the ribbon, and tie the ribbon into a bow. Trim the ribbon at an angle. Cut the lettering and clip art with a die cut machine, or by hand with an Xacto knife. Files for most die cut machines can be downloaded here. Use a glue stick to attach lettering and clip art to the jar. If you love crafts, be sure to visit The Spruce (formerly About.com) lifestyle website. 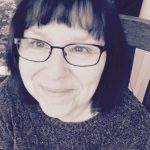 Rita Shehan is a contributing writer for the site and presents many beautiful art and craft projects not available here. I love to share my work. There are however, a few simple rules that I ask you follow.If you would like to share one of my posts on your website, you may do so assuming that only one image from the post is used and the link directs back to the actual post link (and not printable PDF page). Posts/text from this site may not be republished in full in any medium without prior consent.